Briar Cottage in Amberley, near Stroud sleeps 6 people. Overlooking the beautiful Gloucestershire countryside, Briar Cottage is a Cotswold stone holiday cottage, one of a pair, which offers spectacular views across the valley. A super choice for keen walkers, there is the Cotswold Way and many beautiful, shorter walks around the Five Valleys, with its tightly packed villages and surrounding woodland. 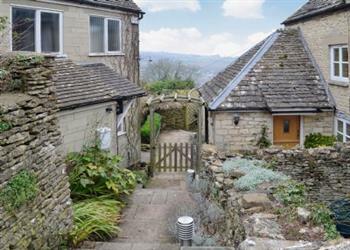 Offering an excellent base for exploring the Cotswolds, midway between Regency Cheltenham and Georgian Bath. The village of Painswick, known as the ‘Queen of the Cotswolds’, with its individual shops, art gallery and churchyard, is only a short drive away. Visit Slimbridge Wildfowl Trust, Berkeley Castle, Westonbirt Arboretum, Royal Tetbury, Roman Cirencester, Badminton and Gatcombe Horse Trails. The nearest shop and pub are ¼ mile from Briar Cottage. Fourteen steps to entrance. Entrance hall. Spacious living room with wood-burning stove and wooden floor. Dining room/kitchen with gas/electric range (for cooking) and valley views. Boot room. Separate toilet. Steep stairs to first floor: Double bedroom with en-suite shower room with double shower cubicle and toilet. Steep stairs to second floor: Double bedroom. Twin bedroom. Bathroom with over-bath shower and toilet. Briar Cottage is in Gloucestershire; should you be on the lookout for a special offer, you can find all the special offers in Gloucestershire. It's always worth checking to see what is on offer at the moment. 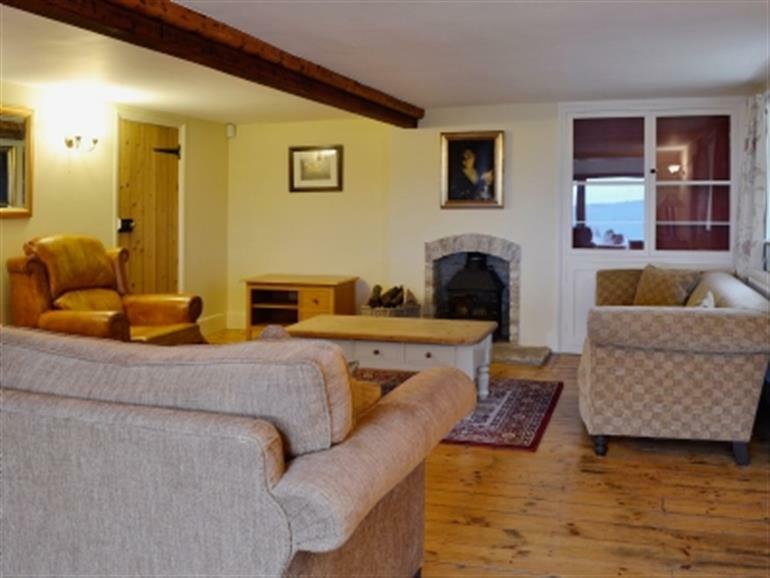 Do you want to holiday near Briar Cottage (NSZ), you can see other cottages within 25 miles of Briar Cottage; have a look to find your perfect holiday location.